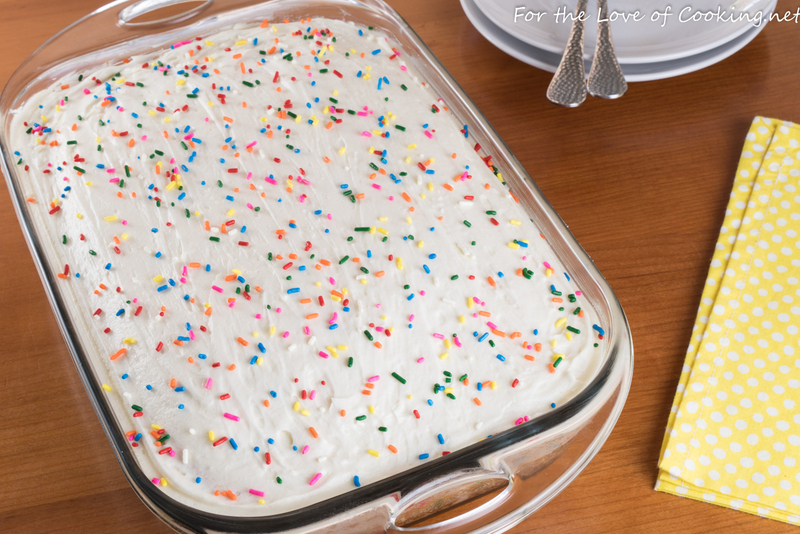 When given the choice between a few different dessert items for school lunches this first week of school, my daughter requested funfetti cake. 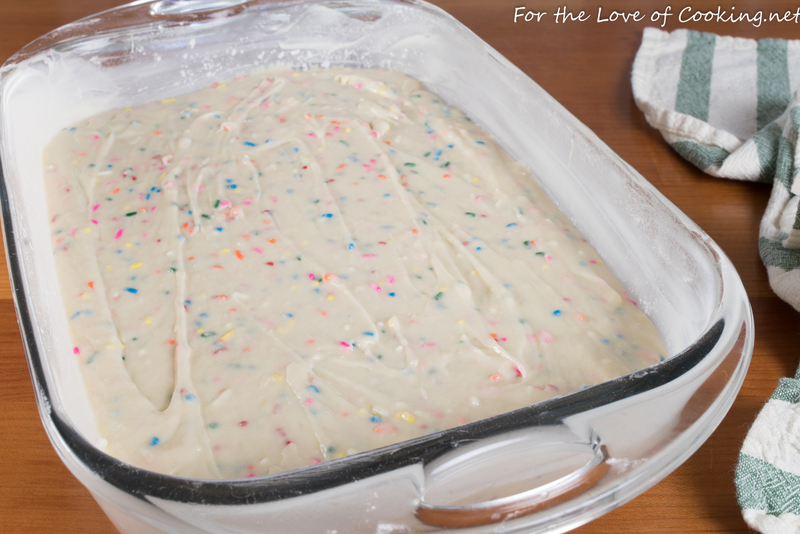 I decided against buying the box version and found a great recipe at Simply Scratch for homemade funfetti cake with vanilla buttercream frosting. This cake was a fun recipe to make and it smelled absolutely amazing while it baked. My kids were both thrilled with this cake and said it is moist, super delicious, and will hopefully help make the first week back to school a bit more tolerable. Preheat the oven to 350 degrees. Butter and lightly flour a 9 x 13 baking dish (or coat with baking spray). 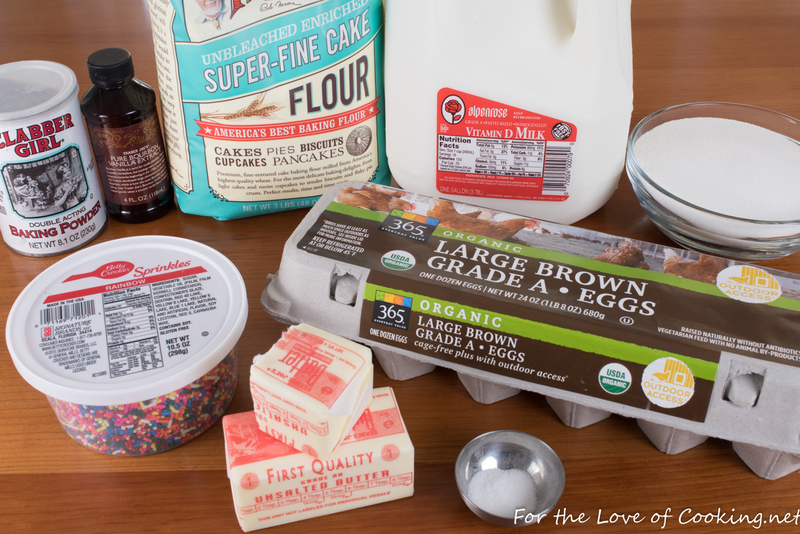 Prepare the cake by whisking the egg whites, whole milk, and vanilla until well combined. Sift the cake flour, sugar, baking powder, and salt together in a large mixing bowl. Add the butter along with half of the egg white mixture and beat with a mixer. Scrape the sides and bottom of the bowl, then slowly add the remaining egg white mixture and beat until just combined. Fold in the sprinkles and pour into the prepared baking dish. Place into the oven and bake for 30-35 minutes, or until a tester inserted into the center comes out clean. Allow to cool on a wire rack completely. Prepare the vanilla buttercream frosting by placing the room temperature butter in a large bowl. Beat with a mixer on medium speed until smooth, creamy, and light in color. Add the sifted powdered sugar, pinch of salt, and beat with the mixer until combined. 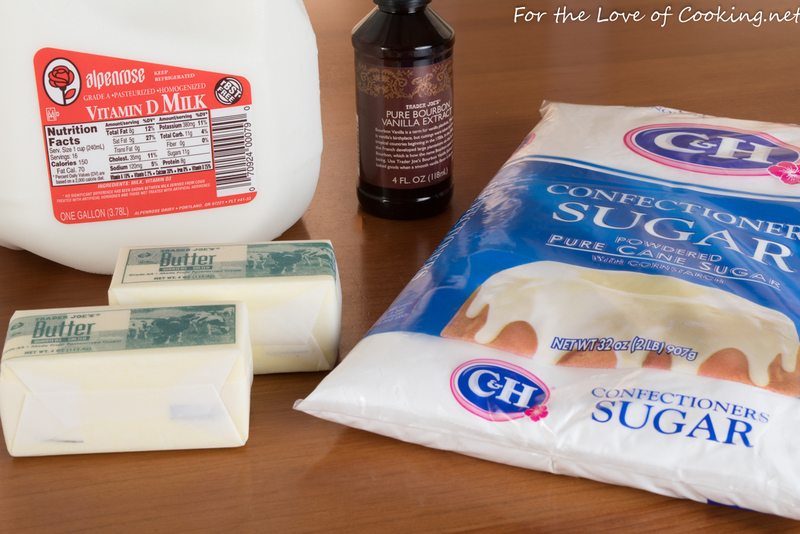 Add the vanilla and a few tablespoons of milk at a time until your frosting is at a desired consistency. Finish the cake once it has cooled completely by coating the cooled cake evenly with the vanilla buttercream frosting. Sprinkle the top with sprinkles then slice and serve. Enjoy. 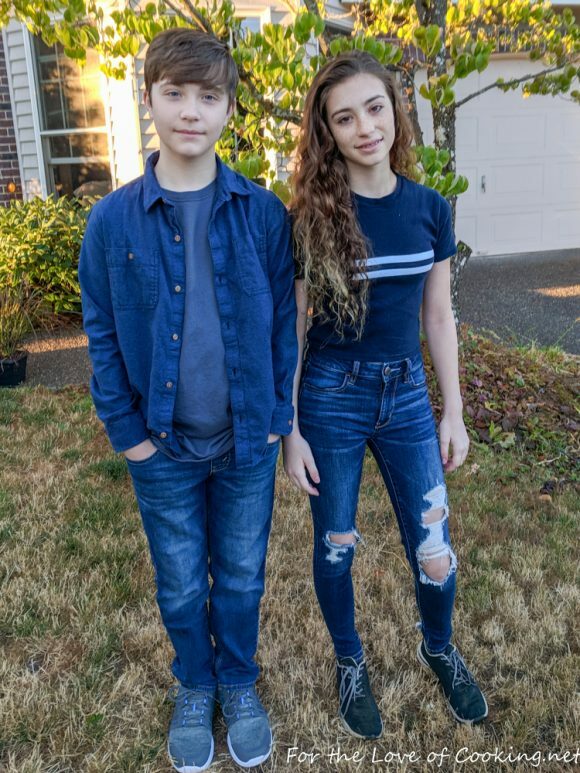 On a side note: Here are my kids on their first day of school this year – my daughter started 10th grade and my son started 8th grade. Time is flying by WAY TOO FAST!!!! 1 cup unsalted butter 2 sticks, softened to room temperature!!! Sift the cake flour, sugar, baking powder, and salt together in a large mixing bowl. Add the butter along with half of the egg white mixture and beat with a mixer. Scrape the sides and bottom of the bowl, then slowly add the remaining egg white mixture and beat until just combined. Place into the oven and bake for 30-35 minutes, or until a tester inserted into the center comes out clean. Allow to cool on a wire rack completely. Prepare the vanilla buttercream frosting by placing the room temperature butter in a large bowl. Beat with a mixer on medium speed until smooth, creamy, and light in color. Add the sifted powdered sugar and a pinch of salt then beat with the mixer until combined. Finish the cake once it has cooled completely by coating the cooled cake evenly with the vanilla buttercream frosting. Sprinkle the top with sprinkles then slice and serve. Enjoy. How pretty. This would make a wonderful birthday cake. Pam love this cake , looks really beautiful!! 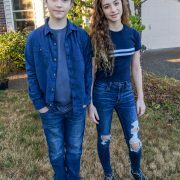 Yours kids look sooo big ! many times I dont see pictures of them, !the time fly! That would have been my request as well! 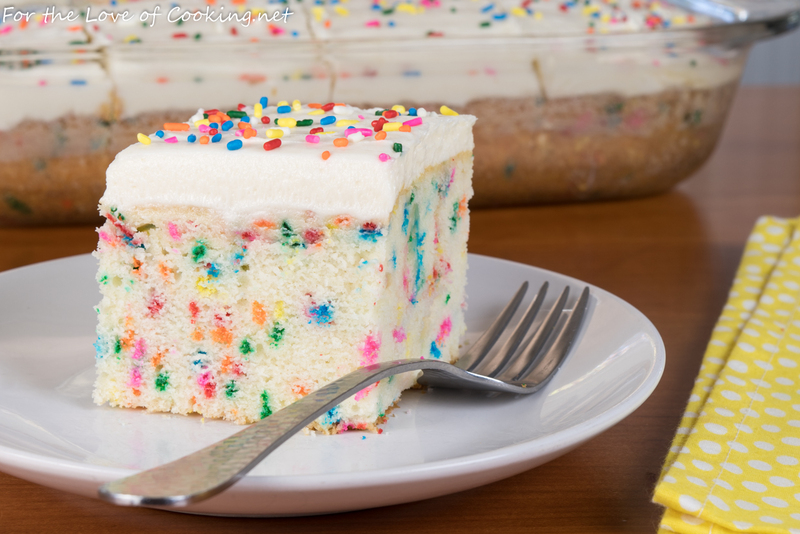 LOVE funfetti cake. Have you tried this in cupcake form? No but I am sure they would be terrific. I would bake for 15-17 minutes, or until a tester inserted comes out clean. Let me know how they turn out.